I’ve always had a fascination with castles, cathedrals too, but castles have greater variety in architecture and location. As a kid I’d run around the grounds, up and down the towers and paid little attention to the historical aspects. They all looked the same – ruined: windows without glass, hearths without fires and walls without roofs. I’ve memories of certain occasions…. The mist rising up around Goodrich castle. Making sand castles on the beach next to Bamburgh castle. Charging up and down the cobbled paths of Chepstow castle. The racing pigeons on the cliffs by Dunstanburgh Castle. The reflections in the moat at Leeds Castle. …. there are others, all just snapshots in time – the colour of the eroding stone, the view from the upper most tower, the relics of the kitchen ovens. I enjoyed many authors as a child, one author of historical books – Ronald Welch – wrote The Gauntlet (1951), the tale of a boy who whenever he puts on a gauntlet he is transported back in time to medieval Wales and a castle. There are jousts, battles, feasts, a hawk and a Norman lord who adopts him. 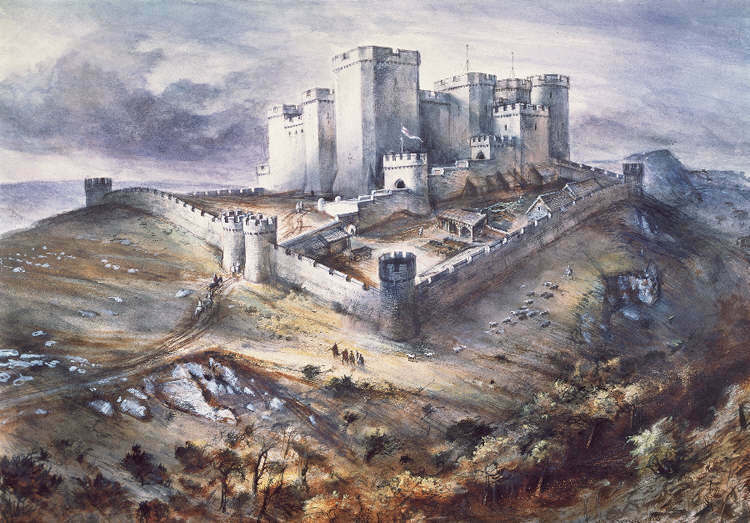 The castle used in the book is Carreg Cennen. Now the odd thing is, I might have visited this castle, but I’ve no recollection of it. The book is out of print, which is a pity. It was a fantastic read for any child, boy or girl, and captured my imagination. I suppose in writing my own book, I’m attempting my own time warp, except not just one castle, but several and though my lead character isn’t transported back in time, her vivid imagination takes her there. Reblogged this on Famous Historic Castles and Fortresses.